ECOWELL Organic Cosmetics : Hyaluronic Acid and Aloe Vera Face Mask! Hye there! Recently, I was recommended to try ECOWELL Organic Cosmetics products, and so I did! Let me start of with the first product that I tried out, which is their Hyaluronic Acid and Aloe Vera Face Mask. Here's a short video clip of me trying on this product for the very first time. Do keep a look out for my review on the next ECOWELL Organic Cosmetics : Make-Up Cleanser Milk! I took HA capsule every day. Its great to use it as skin care too. i love aloe vera scent! looks like only a few drops of the solution needed to put on the face. Hows the price range? Hye Sinnee...this is actually one of the products in the ECOWELL ANTI-AGING TRIAL PACK ORGANIC FACIAL CARE SERIES, this travel pack itself costs RM128.84. It comes in a set of 5, the face mask, tonic, make-up cleaner, soap cleanser, and a bio cream. I'm using this too! I love the texture too! I agree that the feeling will be linger for a while after wash. Ya, Ecowell Face Mask is Illuminate and Smoothen Your Skin. hehhehe I didn't find a flaw in it besides it being in a small pack..
Hey this is my first time get to know about this brand. From your review its work on your skin, I wish to try it too. 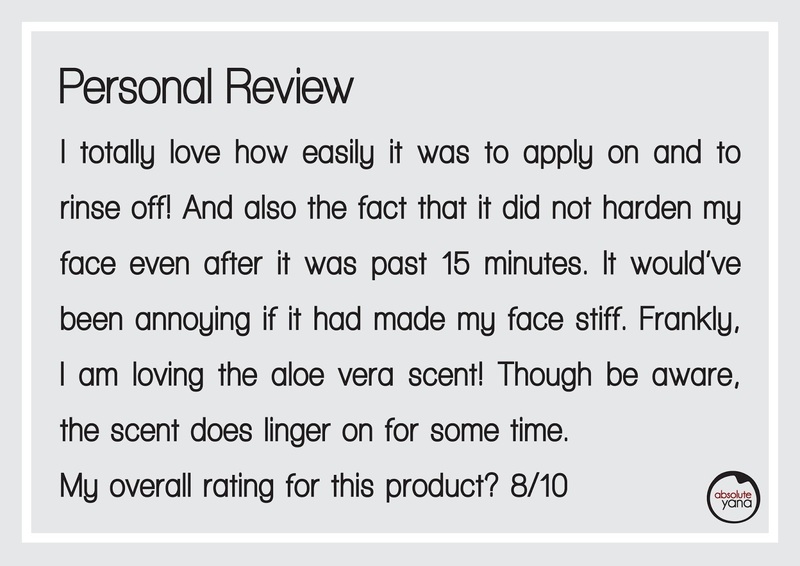 Please do dear..it's actually very nice to use...my pores are somehow getting smaller too..
Having the scent a little while is good isn;t because aloe vera smells good. Yes it is..but it depends though, some people don't like it to be too strong...this is slightly towards the strong scent.. Thanks for taking the trouble to do the video. It makes understanding your review so much easier. their products really really nice to use!! !I had tried their hair care series!! It is dear..I had a huge pimple it has subside a lot after using the whole range for 3 times..
Hi, you can try on our product in this trial set and this week is doing promotion. Grab it fast !!! Because only leave 15 units~! Never tried this before. Looks like a good product.